Pizza, wings, and beer have become synonymous with game day, but Chipotle is here to change that. On Tuesday, the burrito slingers announced the launch of the first-ever Chipotle “Free Delivery Bowl,” and you don’t have to be a football fan to get in on the deal. From now through January 7, 2019, you can get your go-to burrito or bowl delivered to your door at no additional cost. That’s right: There’s no delivery fee. The only caveat is your order must total $10 or more, but let’s be real -- it’s not hard to reach that target when guac is extra. To cash in on this deal, you’ll have to place your order through Chipotle’s website or on the mobile app now through January 7. Pick out what you want, load it into your bag, checkout, and wait for your foil-wrapped bundle of joy to arrive. Also note that Chipotle’s Free Delivery Bowl offer is not valid through third party delivery platforms, so if you’re relying on UberEats or another service, you’ll have to pay up for the convenience. 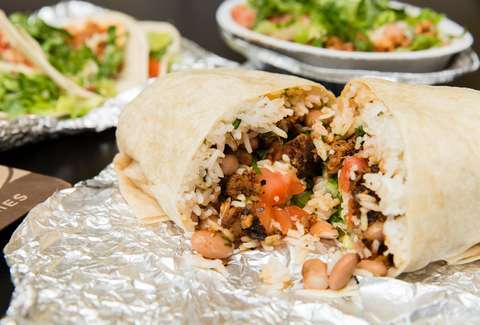 As if you needed another excuse to be lazy over the holidays, well, Chipotle just delivered. Cheers to eating burritos while tucked in your cocoon of blankets.